Okay, these words are long overdue, given that this disc arrived here at the end of last summer. But however long it spends on the review pile, it’s far too engaging and intriguing to put aside without at least attempting to scribble something. These five tracks represent two trios, which not infrequently dissolve/resolve into revolving duos. On face value, this is a hugely enjoyable and unpredictable set of free improvisation performances. However, there’s an added level of intrigue beneath the surface once the first track is past. That first track however, takes some getting past. Monopod is a sprawling, non-idiomatic (and non-repetitive) improvisation of suite-like proportions (27 minutes and counting). Impressive in scale, overwhelming in execution, it’s a cyclic frenzy of fragmented sounds without an ounce of entropy, yet somehow with a sense of clear movement and progression. Warning: close listening can produce altered states. 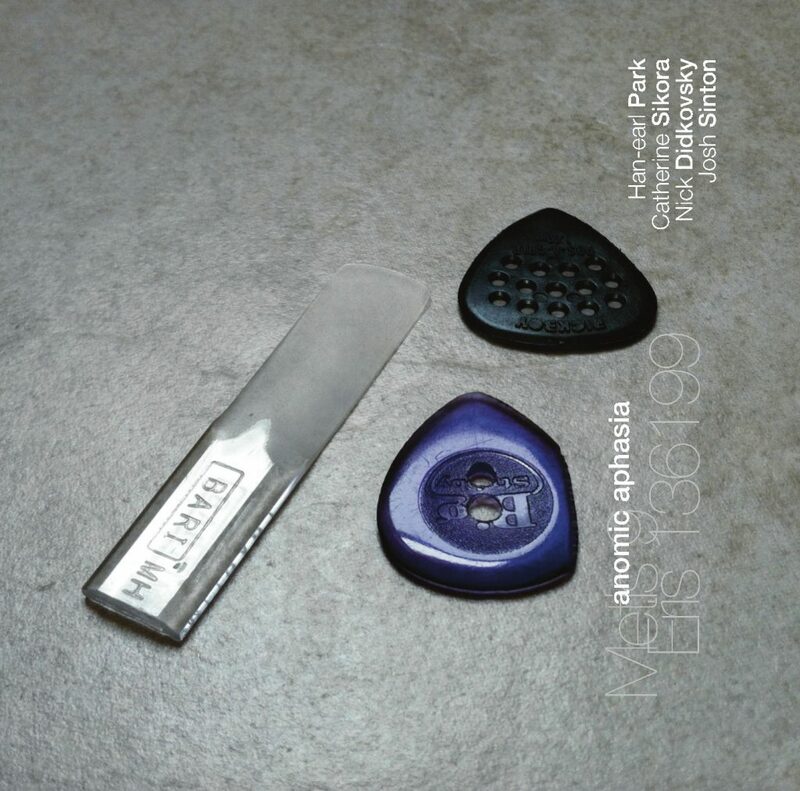 After all the preceding intensity (fully maintained on Hydraphon despite the lack of a METIS 9 designation) Stopcock’s intro – in which actual guitar strings can be discerned – is almost light relief, despite its tricky density. Then second guitar begins to play hide and seek, giving the uncanny sense of listening to two separate pieces at the same time in serendipitous juxtaposition. Cue Sikora’s ever free, ever inventive tenor and the layers are complete for a highly worthwhile finale.